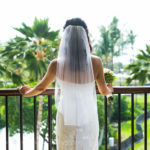 This hawaii wedding took place at the Mauna Lani Hotel in North Kona. They have a late morning wedding, which makes for some really blue water and blue skies. 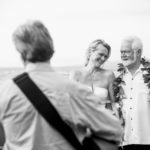 The ceremony took place at a bungalow on property with photos on the beach afterwards.